The horticulture staff worked with many botanical gardens and universities across the globe to curate The Spheres' plant collection. The Spheres are a unique space with a climate that is comfortable for people and plants alike. Finding plants that would thrive in this particular climate was one of our first horticultural challenges. The Spheres global and diverse collection of peculiar and rare plants is in large part thanks to the generosity of many partners in the botanical garden and academic community. Take a look below to learn about a five plants that are now in The Spheres and where they came from. Our first stop in finding the right plants for our collection was the Atlanta Botanical Garden. Ron Determann, Director of Conservatories, welcomed us in and helped us select some of the key plants of The Spheres collection. One of the coolest orchids shared with us was Phragmipedium wallisi. 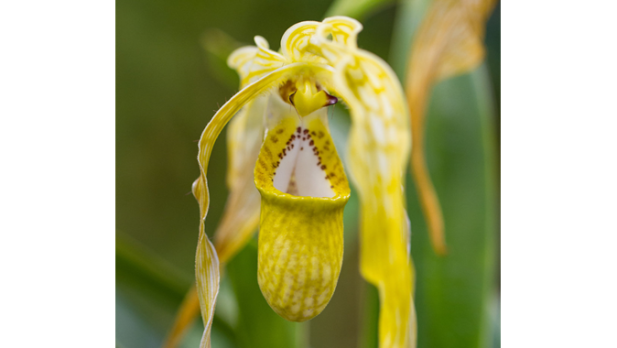 This orchid is known for its long green petals and light colored pouch. One organization we’ve worked closely with is the University of Washington Biology Department. Over the course the project, an opportunity to help presented itself. In the summer of 2016, their Botany greenhouse was torn down to pave the way for a new, state-of-the-art facility. In the interim, we were able to offer their plants a home in our greenhouse facility during construction. Because of the newfound proximity, we were able to exchange ideas and plants. 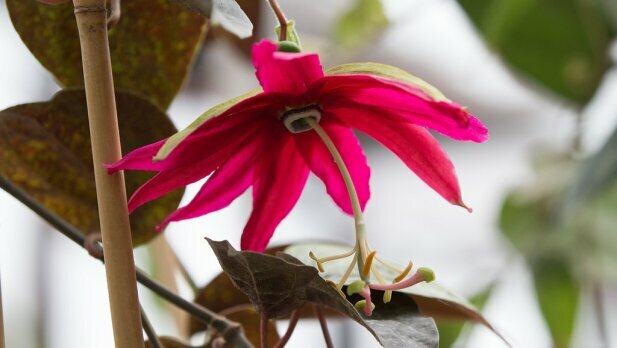 One of our favorite species that UW shared with us is this gorgeous Passiflora species. In 2014, we began working with Chad Husby, Botanical Horticulturist at the Fairchild Tropical Botanic Garden (FTBG) in Florida. 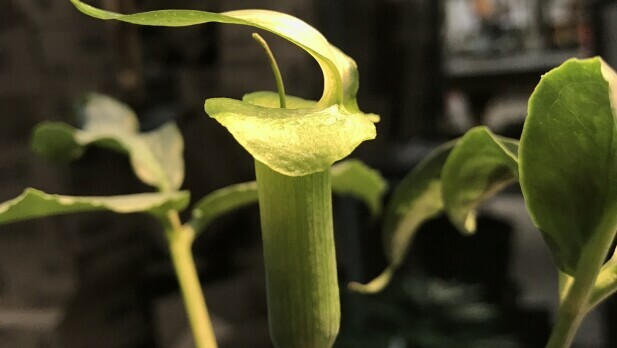 He not only shared some of his collections but also helped facilitate our visit to private growers, gardens, and nurseries in Singapore and Indonesia in search of amazing plants. 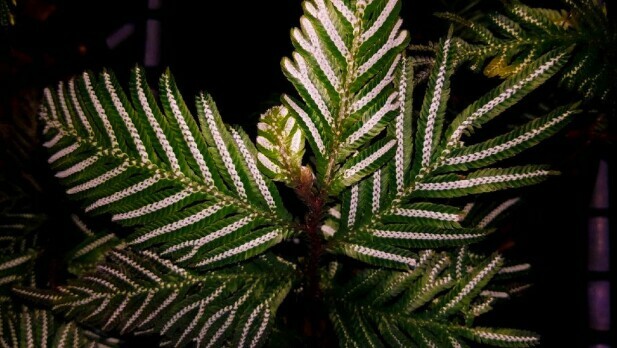 This is a photo of a Selaginella picta, a specimen that FTBG generously shared and now calls The Spheres, home. Dylan Hannon, Curator at the Huntington Art Museum, Library and Botanical Gardens in California, provided seed grown rarities from all over Central and South America and beyond. One of these is this Arisaema species. At San Francisco State University, Martin Grantham, one of the most knowledgeable and skilled growers on the West Coast, shared his higher elevation species. 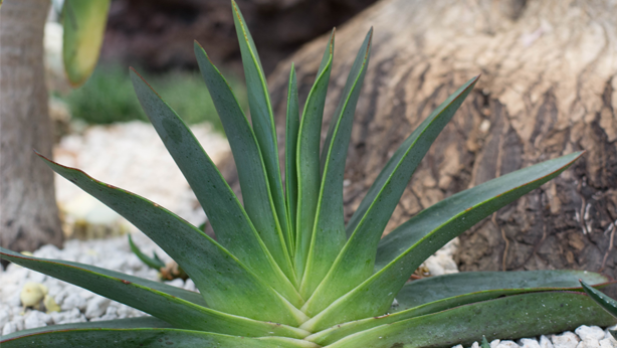 One specie he shared was the amazing Aloe haemanthifolia, a treasured, fan-leaved Aloe plant from South Africa. It’s what plant people do! So, why were these individuals so generous? Well, it’s what plant people do – we share. At The Spheres, we will continue to propagate and share our plants too. We are so appreciative of the support from these gardens, growers, and universities – without their support, The Spheres would look sparse. More importantly, propagating and distributing rare plants through this botanical network helps conserve them by reducing the risk of losing them in cultivation. We also support active conservation work at some of these institutions. This is an important aspect of The Spheres as part of our mission is not only to create an amazing experience for Amazonians and visitors, but also to demonstrate the education and conservation value of our collections.